This week for Retro Game Friday I’m going to cover a game I loved back in the day. 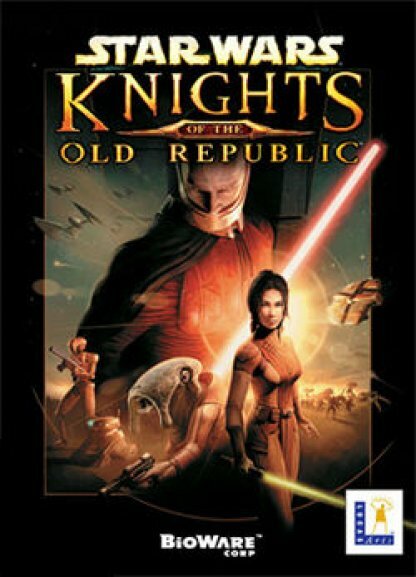 It’s Star Wars KOTOR, or Knights of the Old Republic! Plot Synopsis: The story takes place approximately 4,000 years before the rise of the Galactic Empire. Former Jedi Darth Malak, a Dark Lord of the Sith and Darth Revan’s former apprentice, has unleashed a Sith armada against the Republic. Malak’s aggression has left the Jedi scattered and vulnerable; many Jedi Knights have fallen in battle and others have sworn allegiance to Malak. 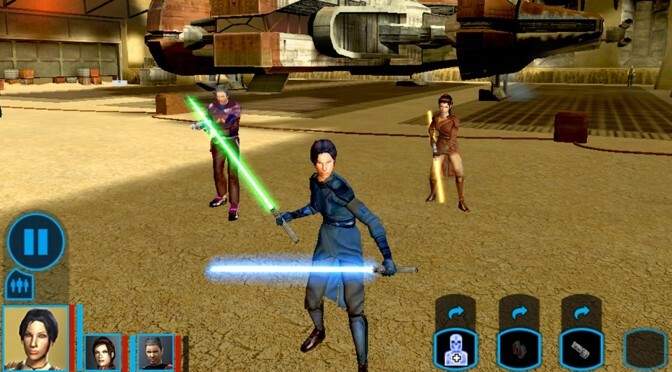 The game opens with the player’s character—the player can choose a face and be male or female (canonically a male)—awakening aboard the Republic ship, Endar Spire, which is under attack by Malak’s forces. Plot: The plot is pretty great, and I won’t spoil it for you if you’ve never played, but if you haven’t you really need to. 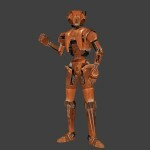 Characters: All of the cast is pretty good, but all I need to say is that HK-47 is the best. End of story, meatbag. Gameplay: The gameplay uses a variation of Dungeons and Dragons 3rd Edition, which allowed turn based combat to flow relatively smoothly. It wasn’t perfect, but it was pretty good. 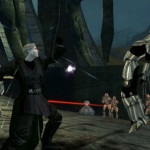 That being said, you could just power through the game using lightsabers once you got them, which is a bit of a bummer. The moral choice system though was quite innovative at the time however, and it fits the Star Wars mythos perfectly. Art: It’s very dated, but it’s still pretty decent. Better than the N64 era of games at least. Overall: If you’ve never played this game and love Star Wars even a little, go do so now. You’ll thank me later. 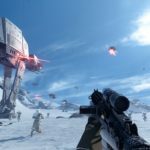 For those who like: Star Wars, RPGs, Moral Choices, Excellent Plots, Fantastic Cast of Characters, Great Gameplay, Good Music.